The brand is Egotistic Egotism and Extreme Egotism is a way of life. The collection consists of innovative sportswear using an edge approach with leather, paint and chains. It's completely about embracing your Ego and displaying who you are through image. Tell us about Nick Cross growing up. Omg, I've always been creative and sassy. I remember my childhood very well because I was supported by my family completely with being unique and always aiming to be an individual. I'm really outgoing so I had many friends and loved to travel and explore cities. It was my friends who let me experiment my craft on them. I started painting denim at 16 and we would wear them all over Atlanta to football games, concerts, during Spring Breaks in Miami. The response was so great even at that age that I knew I had to really pursue a career in fashion. Tell us about living in NYC & attending F.I.T. Living in NYC was an amazing experience. It's something you have to endure if you have a genuine passion for fashion, art and innovation. I was so blessed to get to experience it on the level of actually living in the city and attending some exclusive events and parties all year round. The beauty of F.I.T is that the dorms are actually student apartments in Chelsea which is a prime location. I enjoyed every moment. New York still has a beat in my heart. 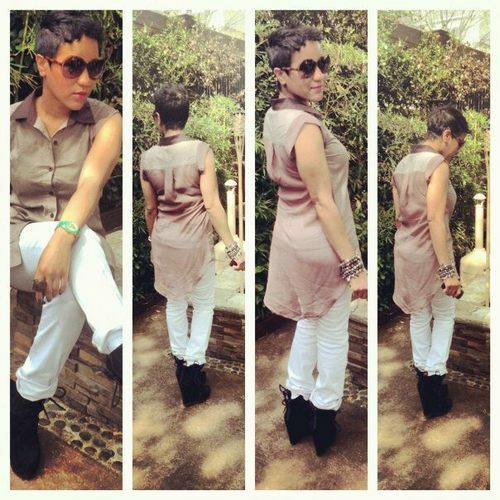 We got a glimpse of your style in an Instagram photo posted on your blog. Describe your personal style and your favorite trends right now. My personal style is a combination of several genres. I love Rock Star Glam however I do appreciate vintage and an element of class so depending on my mood you may see all three components in one or just of these concepts. One of our first interviews was with your friend, DLUX Boutique owner Dorian Grace, who started out as a buying trainee at Saks Fifth Avenue - where you also worked. Out of all of your internships, freelance work and other jobs, where would you say you learned the most and what? Wow that's a great question. I would have to say Saks because it was a world full of designer brands at its best. Fortunately for me I absorbed everything I learned being a fashion student and intern that once I started to gain knowledge at Saks, the previous education made sense. I now know how a design is processed too, so I then learned how to style it and bring these unique pieces to life. Styling is the most effective way to brand your image and who you are as a person. "If you don't put yourself into your own world you will live in others" - We think that is a great quote that embodies your brand and movement. How important do you feel it is to zone out and put yourself & your focus first? I'm glad you asked me this because so many people lose sight of their journey, craft and success because they are so consumed with everything around them. Meaning people, social status, their direct city, etc. Once you get drowned into those things in a negative way, your life has no value. Life is already complicated enough being there are factors that you cannot control, so if concentrating on yourself first and your mission in life is one thing you do have a grip over, then your world will be harmony. I honestly am constantly inspired by other people doing well. Witnessing another person succeed and gain admiration for their work keeps me innovative. Being creative is natural for me, so when I see other unique people breakthrough and create an impact it keeps me thriving to have a force. 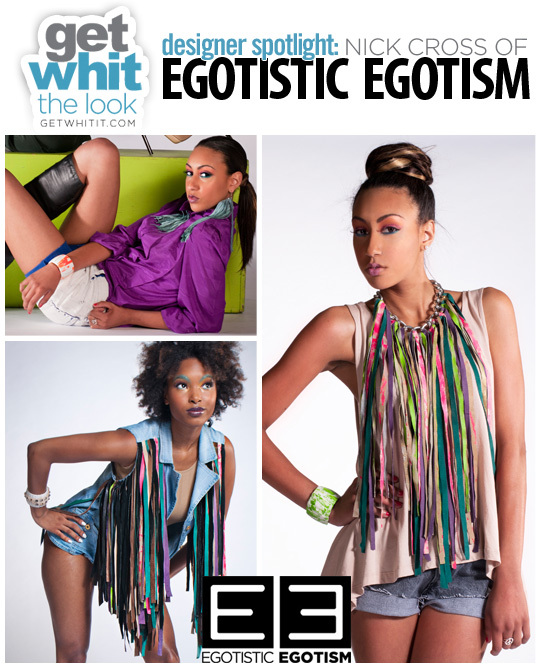 Right now a lot of your Egotistic apparel is based off the fringe trend which we LOVE. What led you towards the fringe trend? I think I was a hippie in another life. My spirit is so free and it's shown through my work and collection. 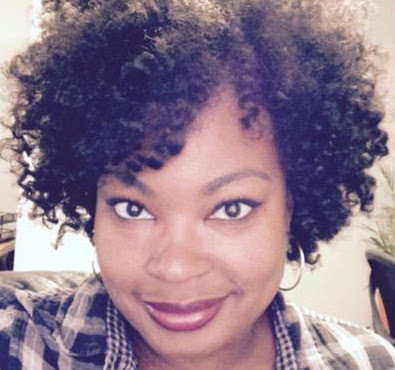 I'm also southern girl at heart, but with edge, so the fringe is a great way to represent that energy. I love leather and how when in fringe it creates such a fun movement. So funny, I always ask my close clients and fashionistas if they will ever get tired of the fringe because I don't think I will ever get bored with creating it. Where did you get inspiration for your Egotistic Accessories? When I lived in Battery Park, which is downtown Manhattan, I spent a lot of time walking around and exploring fabric stores. I started purchasing random chains, beads, or any fun charms from fabric stores. One of my friends invited me out for a networking event and I wore a sweater I made myself, however I didn't have a necklace to wear. The sweater was really low cut so I decided to drape a large amount of chains that I had been collecting around my neck. They weren't connected in time for the event but I got so many compliments it's then I knew I had to create a collection of chunky chains. Not only do you design but you style & transform current wardrobes. How do you go about doing that and what is your price range? 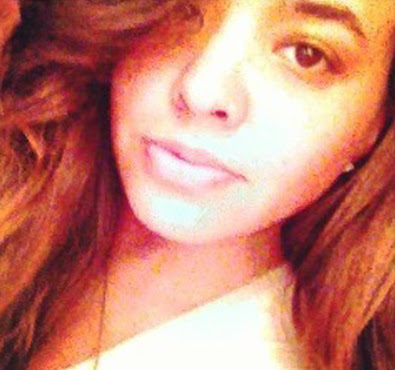 Yes, aside from having my Egotistic Collection, I also do wardrobe styling, personal shopping, and image consulting. In addition, I can take a present wardrobe and revamp it by adding embellishment or any of my design services. The service prices for transforming wardrobe ranges from $80-up depending on detail. Wardrobe styling is a consulted price by the hour. 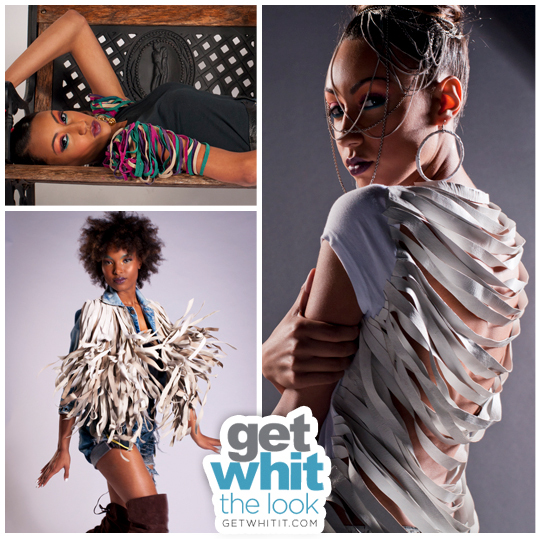 Your pieces have been seen on some of our favorite Fashionistas such as Dawn Richard, Nicole Ari Parker, & Eva Marcille. For other up & coming designers who want to get their name out there, how did you go about doing that? Absolutely, create a brand that makes a statement in which the pieces alone have an impact. You want a signature look to set you apart from other designers. Once your comfortable with that then the only other effective advice is to go hard executing the product and getting it seen however and often as possible. Build a relationship with stylists, photographers and boutique owners. The most important thing is to stay surrounded by individuals who share the same passion and drive within your field. How did you feel having the opportunity to showcase your pieces on BET's Rip the Runway? It was actually one piece which is the Spring Leather Fringe Jacket. The opportunity came to me right before the show taped, which limited the amount of pieces used. However, it was extremely exciting to see that one piece be exposed because alone the jacket is a hit. It felt great to know the brand is growing and being exposed on that level. Do you have advice for up and coming designers or those considering a career in fashion design? Yes! Stay focused. Never give up! Always believe in yourself. These things sound so cliche but is the true formula for success. Let the viewers know where the Egotistic Egotism collection can be purchased. Make sure to add Egotistic Egotism on Facebook and follow on Twitter! She is currently running a special on her custom Extreme Ripped Denim Jeans! You will want to check it out!